I believe these last few years have been the most exciting and talked about years in Final Cut’s history. This is for good reason as Apple did a full re-release and update of their ever popular editing program Final Cut Pro. Below are a few of the reasons of why many professionals were upset by this huge update and my counter points to those reasons. Final Cut X is not professional. I completely agreed with this comment with release of Final Cut X. Like many others I was very upset with the new release as I had invested over 10 years into mastering Final Cut Pro and I did not want to or feel like learning something completely new. I guess we can say I was comfortable and content with my current workflow. In all fairness there has not been any software that I can think of after a major rewrite without its share of bugs, issues and features lost. After many quick and timely updates I can now say that Final Cut X has delivered on all its promises of a software that I believe is more powerful and more impressive than any earlier version of Final Cut. Final Cut X is hard to learn. I also agree, especially when professionals have used complicated software bloated with tons buttons, windows and always in your face features. But, what I have discovered is that learning something simple, especially after many years of a complicated workflow is more daunting since we expect complexity. We are professionals and our tools should be intimidating or else any novice can use it and leave us professionals out in the cold. Right? Well not really, if anything when our workload is easier we get more time to play and be creative. One example I love to use is the mighty pencil and brush. It is a very simple tool, but in the hands of a person that knows how to use it well they can create amazing work. Final Cut X is just iMovie on steroids. I felt the same thing as well and I still believe this statement is true. Apple is not known to release Beta versions of their software and who better to test out a brand new Graphic User Interface ( GUI ) than those that will not complain that much like first time users and hobbyists. Not only was this an ingenious way to test out a completely new software interface, but it also allowed for iMovie to become a stepping stone for all future professionals since the feel is similar to Final Cut X. Plus we can now import iMovie projects straight into Final Cut X, which is great for producers that like to get more involved in their projects and start a rough cut of their project out on location. Final Cut X does not have a monthly membership plan. This is one thing I am very happy for. Almost everything is now based on membership plans and our monthly expenses can get pretty high quickly. If we add $50 here and $25 there the overall monthly costs can add up to $100s a month. Let us take an example and compare it to Final Cut X. If I paid $50 a month for a membership fee the yearly cost for the last 3 years since Final Cut X’s first release would be $1,800. Instead in the last 3 years I have paid less than $300 total and the savings continue to increase the more years I use Final Cut X. That means I have saved $1,500 which could be used for a new Cinema Display, External Storage, iPad Air or a nice vacation. I warn people to not look at the price of a membership as a monthly cost but instead multiply it to a yearly cost and then multiply that for at least a minimum of 3 years. If we do the math for 3-5 years we can see how expensive things can get. Also if we look at the price structure of Apple’s software I do not believe upgrades for Final Cut X will not be expensive or it may even be free, just take a look at the cost of OSX. Apple dropped the ball with the new release of Final Cut X.
I also agreed with this when Final Cut X first came out. I even downloaded free trials of its competing software out fear of Apple’s discard of the professional market with their “professional” iMovie clone. But fortunately I decided to give Final Cut X a real fair try and not just a few hours of toying around and complaining as I originally did. I also thought that this was not the first time Apple has done something bold and drastic so maybe there is more to this release than meets the eye. Think back from the time of the 1984 Macintosh commercial release or when Final Cut first came out or Apple dropping the floppy drive and even with the latest release of Mac Pro. They were either unusual, controversial or even a little off-putting but in the end they made sense and stuck. Apple has proven to not be a follower of trends or a company that adds a few features here and there and calls it a day. Instead Apple is known to rush to the edge, jump off the edge and eventually after the dust settles we find that the edge was well worth the leap. When the competition begins to look the same Apple diverts to a whole new path. Apple takes risks with everything they create and sometimes times they are not successful, but when they are a hit we all benefit big time! Apple’s Final Cut X was not ready for professional release. I also agree with this comment. But in all fairness we professionals raised our torches and pitchforks in demand for a new update to Final Cut and the Mac Pro. If we think back there were tons of rumors that Apple was leaving the professional market behind since many years went by without an update or a hint of one. So I believe an early release was to ease the fury of the professional market and to at least demonstrate that we were not being abandoned. Yes, Final Cut X was not ready by a long shot when it was first released, but at least it was a taste of what was to come. Those that have had many years of experience in the industry knew not to leave their old Editing software for something new and shiny. As professionals we need careful thought of new tools. However, after the many huge updates Apple has released since Final Cut X first came out they have proved that they are listening to our concerns and demands. My editing speed has increased by at least 3 times and every new update brings new features that increase my workflow even more. If we are truly interested in using FCPX then we what we need is patience as this is entirely a whole new way of editing. Is it scary? Heck yes! But is it worth it. I say double heck yes! Be aware that all the new features are not out in the open and instead they are hidden until we need them and since there are hundreds of new features this is a very good thing. I would love to name all the new features, but there are so many I would need a few more posts to cover them all. 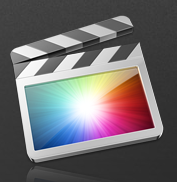 My advice is when we first open FCPX we should think of it as a new piece of software, because in essence it is. I know many of us do not like change, especially when it comes to our tools of the trade, but many times change is good and most times it is a necessity in our fast moving industry. So after a few years of using the new Final Cut X I am proud to say that I am very happy I took the leap of faith back in 2011 and we can only expect things to get better, cleaner and faster in the years to come. One must either anticipate change or be it’s victim. – Galbraith.